We begin our journey by examining the sources and inspiration that contributed to the modern style. Exploring the magnificent objects on display at the Paris Exposition Universelle of 1900, we will learn about the many talented individuals that transformed architecture and design at the turn of the 19th century. Meet the innovative Belgian Architects Victor Horta and Henri Van de Velde who brought the concept of Gesamtkunstwerk to the attention of the world. Prevalent themes of female sexuality and the natural world are revealed as we marvel at luxurious objects produced by top notch artisans and jewelers. Discover the story behind Hector Guimard’s iconic Paris Metro stations; be dazzled by the sinuous creations of master jewelers René Lalique and Georges Fouquet, and take a trip to the Alsace-Lorraine region to examine the magnificent glass objects and fine furniture produced by brilliant entrepreneurs Emile Gallé and Louis Majorelle. 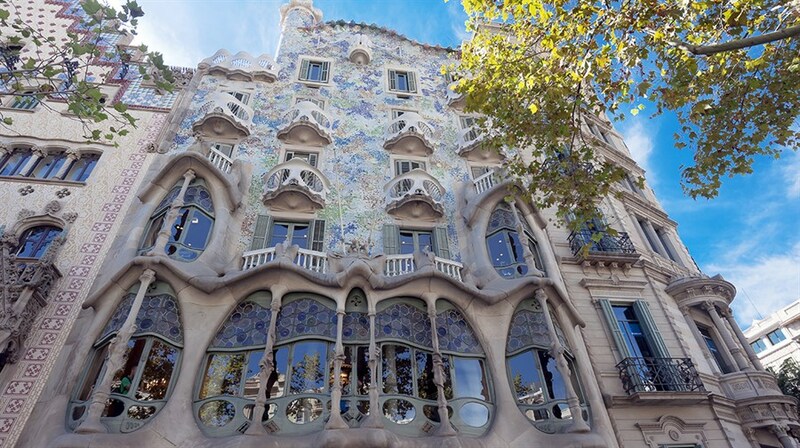 Combining ancient traditions with modern industrial materials, architects Lluís Domènech i Montaner and Antoni Gaudí ushered in the Modernista Movement. We’ll step inside the elaborate Palau de la Música Catalana as well as decadent residences commissioned by Gaudi’s great patron Eusebi Güell. No trip to Barcelona would be complete without a stop at the Temple of the Sagrada Família. As the Russian Empire teetered on the verge of revolution, Moscow’s Nouveau Riche flaunted their success with modern buildings that inspired ordinary citizens to turn their backs on the Imperial traditions. We shine a spotlight on Russian folk arts and conclude our journey in the historic city of Prague where magnificent structures demonstrate the global reach of the Art Nouveau style.